What Is the Purpose of the Medium Duty Platform Truck? 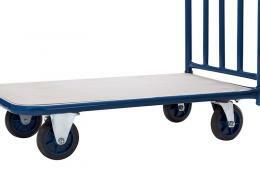 This platform truck is a special design that is both suitable for the office or the warehouse. Its design allows it to be versatile and functional. This is the trolley to use should you need something that both employees and customers can choose from. It’s sturdy, reliable, and ready to work hard. All the components of this platform truck serve the purpose of lasting longer and working stronger. The medium duty platform truck is a 250kg capacity truck with a wooden deck for tough situations. 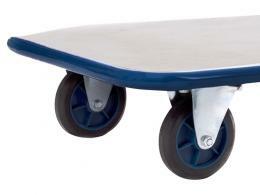 It has sturdy castor wheels and a tubular frame that all make a very solid product. The handle releases completely for easier storage. 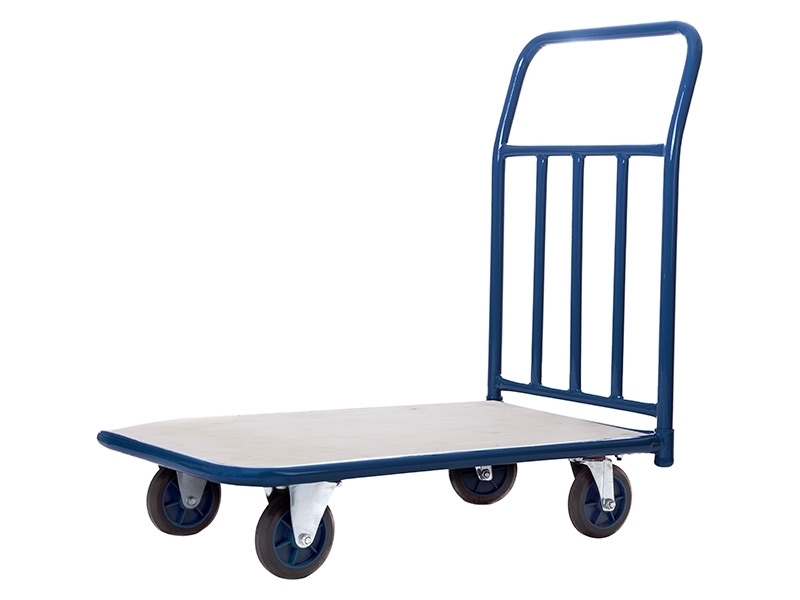 Where Can This 4 Wheeled Trolley Be Used? 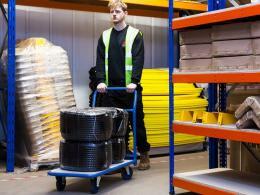 This platform truck works in the warehouse as a tool to shift around heavy and messy objects. 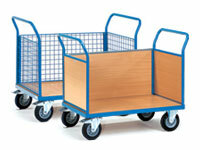 It would also be at ease as a trolley for customers of a big box store or a hardware store. The design and build of the platform truck allow for multiple uses. 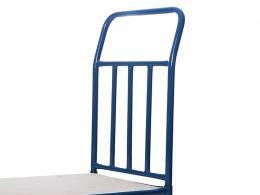 The powder-coating of the frame makes it last longer by avoiding rust and decay. Who Might Use This Industrial Trolley? 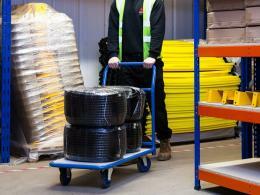 Both warehouse employees and customers can both use this simple platform truck. This medium duty platform truck has a strong wooden deck with a removable handle for simple storage, coming with the Workplace Depot 1 year warranty on all labour and parts.